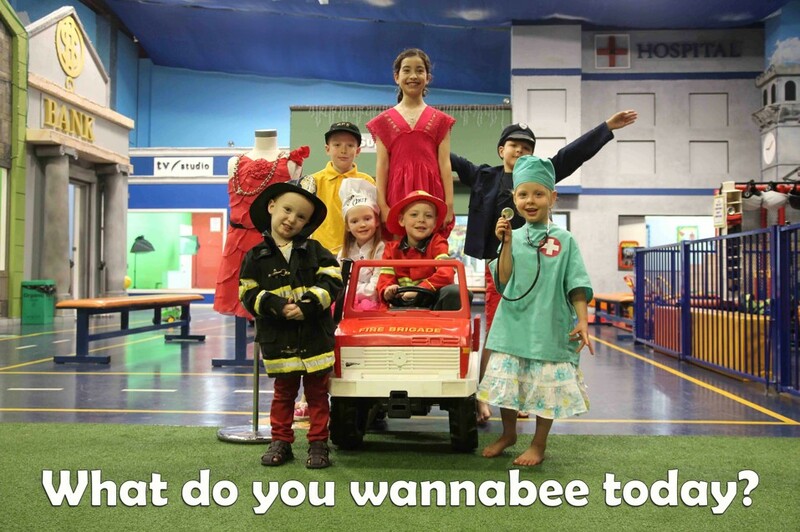 Wannabees is an Indoor entertainment centre where kids can play to be grown ups. It features a child size city with 20 iconic buildings, fully fitted to look like the real ones out there. We have lots of different activities each day, so your kids can have lots of fun. Kids can pretend to be beauticians in our beauty salon or teachers at the School. There are fire and police stations, fashion shop, hospital, restaurant, rock climbing wall and many more. So if you’re looking for things to do with kids in Sydney, Wannabees is the perfect place to get the kids active and entertained for hours, while you sit and relax in our european themed restaurant. Our professional party planners can help you organise your next kids birthday party. We have several party themes for kids to choose from. Our childrens birthday party packages are all inclusive. Let our friendly staff do all the hard work for you, all you need to do is bring the kids, the camera and relax. Wannabees is one the most amazing kids birthday party places in Sydney. Our parties are unique, busy and fun. the best part is that you don’t have to clean up! We have packages to suit every budget and they include kids party food, goodie bags, entertainment for two hours with your exclusive party host and electronic party invitations. If you have a birthday party coming up soon call us on 02 8021 6902 to get a non obligation quote. Because of the educational nature of our Indoor Theme Park, we can organise your next educational excursion for stage 1 and stage 2 school kids. Our excursions are aligned to the Australian curriculum and they cover areas like workers in the community, our most popular program. If you’re a teacher looking for the most amazing experience for your school kids, Wannabees is the perfect complement for your classroom activities.